Feeling a little crafty today. I made three cards so far and submitted six to current magazine calls. Kinda liking how my creation turned out. I used the new irRESISTible spray by Imagine Crafts/Tsukineko in Tangelo and Dandelion. I cut the Tag Me die from vellum and filled it with Aqua sequins. 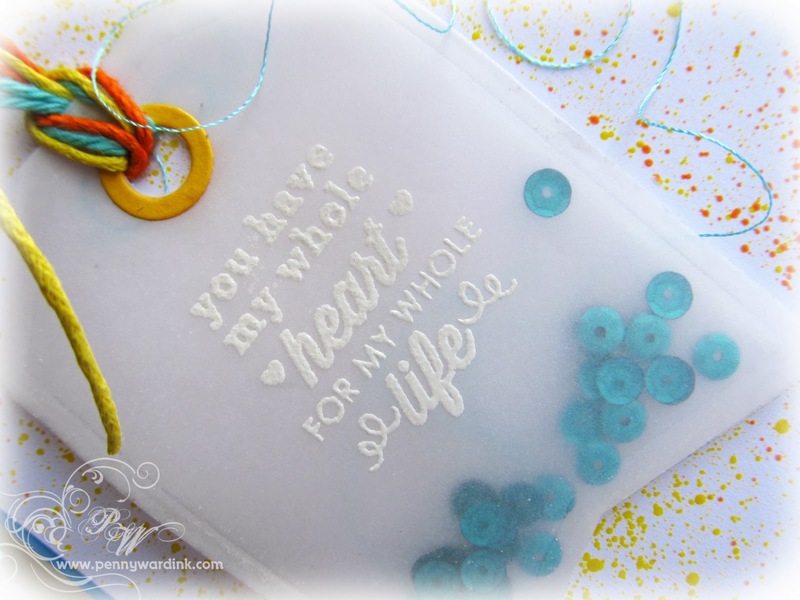 The tag has been stamped and heat embossed with the Reverse Confetti stamp set "Crushin'"
Twine is by The Twinery and a little teal embroidery thread. Base card edge is inked with StazOn Teal Blue. That is so fun! 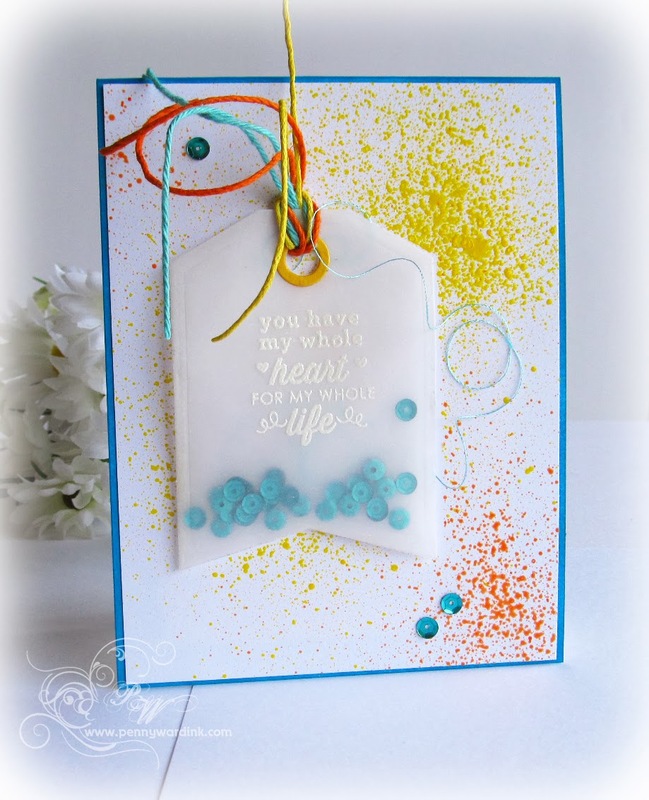 I love the background and your super cool shaped tag filled with fun! Love that textured spray!! And I may have to borrow that sequin in a vellum bag idea!! Awesome crafting getting done!! good luck with the submissions!! Did I mention I love the new blog look!! Penny, I LOVE LOVE LOVE this card!!! The sentiment is great and I love the color you've used. The Teal Blue is a beautiful color & this is one of my card favorite's from you all around! !And you know I love your work! !